APR 17, 2017 Peer Purpose! Say Hello to Sade! DEC 28, 2016 A beacon at BOOM! DEC 21, 2016 Promoting Wellness and Building Safer Communities! 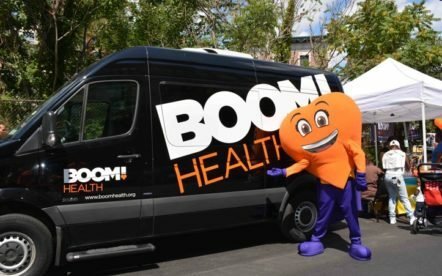 BOOM!Health has been working to address a variety of social problems plaguing the New York City region and bringing care to those in need. Every 19 minutes, an American dies of a drug overdose. Bronx residents are twice as likely to die of heart disease. 47% of Bronx residents struggle with basic expenses. More than one in three AIDS deaths in NYC are Bronx residents. 1 in 30 baby boomers have hepatitis C.
26% of Bronx residents live below the poverty line. Bronx residents face an 85% higher risk of being obese than people in Manhattan. 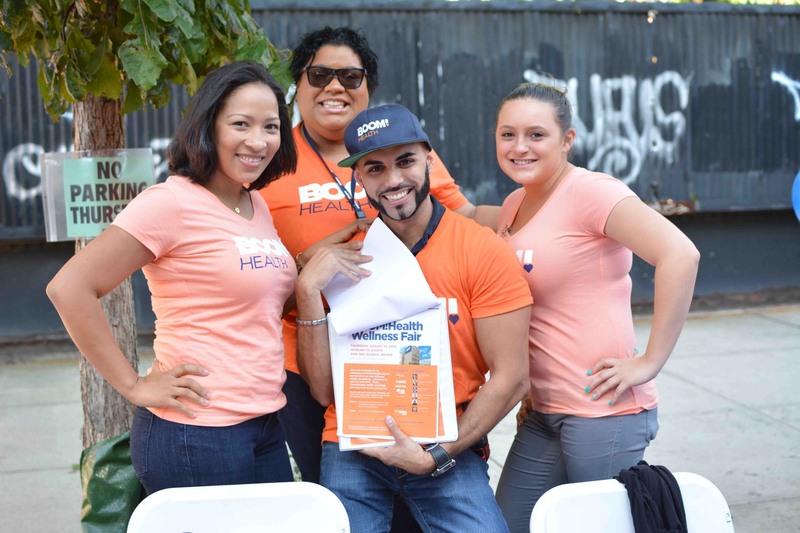 Our BOOM!Health service and advocacy model works to actively remove barriers to accessing primary medical care, as well as HIV and viral hepatitis prevention services, while supporting clients and program participants on their journey towards wellness and self sufficiency. Full onsite pharmacy services for program participants and the community. Free delivery and all insurance accepted. Coordinate the Bronx HIV Advocacy Network, support passage of the HASA 30% rent cap and the Compassionate Care Medical Marijuana Act. Monitor Stop and Frisk and promote Safe Injection Facilities. Congregate emergency food program, food pantry and nutritional counseling, and a SNAP food stamp referral program. Services include such basic necessities such as meals, showers, clothing and laundry access in a safe space, as well as onsite social services, medical care, and behavioral health services. The Brightpoint Health and Wellness Center at the Harm Reduction Center offers primary medical care and behavioral health services. Anonymously exchange used syringes for sterile syringes at our drop-in center, at 3 mobile van locations in the South Bronx, or via peer-delivered syringe exchange at your residence. Care coordination, health navigation, nutrition education, and counseling. 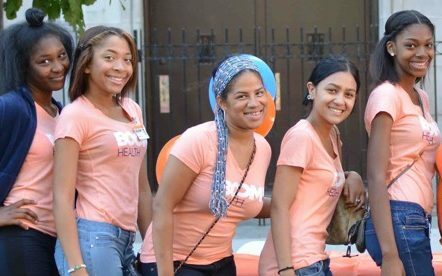 Prevention education, rapid HIV/hep c testing, condom distribution, street outreach, groups, and overdose prevention education and training. 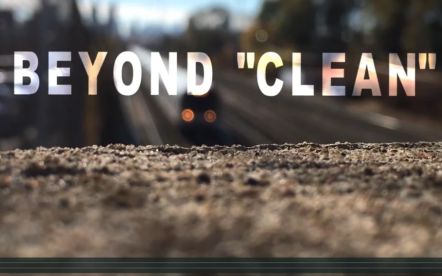 Behavioral health, counseling, peer recovery support, and drug use treatment.